Amy Martinez joined our office in 2013. She is our Administrative Assistant and oversees the daily operation of our firm and works closely with Attorney Dahl and Attorney Stephens. She is a native South Floridian and although she often finds herself homesick, she is proud to call our beautiful city her home. She received her Associate’s degree from Miami-Dade College and also attended Florida International. University. 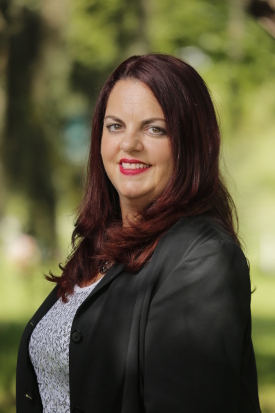 She is a Certified Paralegal with The Florida Bar with over 19 years of experience in the legal support profession, including seven years as the Judicial Assistant to the Administrative Judge for the Eleventh Judicial Circuit Court. Amy enjoys giving back to her community and has worked on numerous community service projects. She is the former PTO President of Clermont Middle School and SAC member. She loves children and is passionate about Girl Scouting and has been in leadership positions within the organization for the past 8 years. She enjoys spending time with her family and camping. She prides herself in providing excellent customer service and is compassionate towards our clients. She is fluent in Spanish.